Manny comes back from parking the car and discovers that he is the designated driver for the group. Manny calls everyone to the tiara room to figure out who cracked Hayley's boss's tiara. They've all been lying. 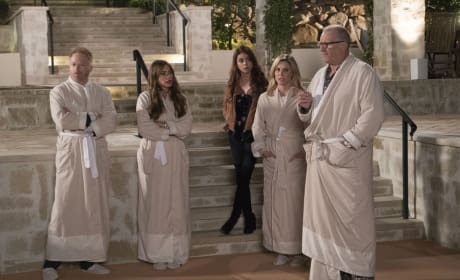 Stella rips open Phil's robe to reveal he's dressed in hip hop clothes. 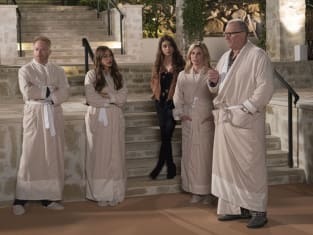 The family goes on a wine tasting trip on Modern Family. "Wine Weekend" is the 16th episode of the show's ninth season.